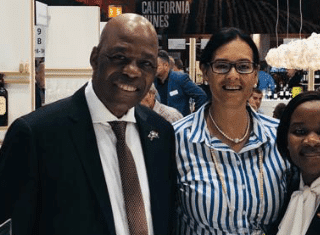 KWV, a pioneering wine brand in the South African wine industry since 1918, celebrated the conclusion of its 100th harvest on 5 May 2018. 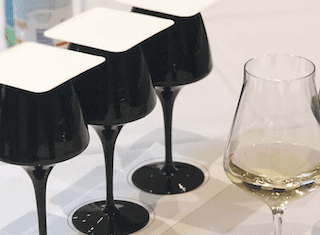 This milestone was marked with a sneak peek of Cathedral Cellar Wines – a wine portfolio previously only available in international markets, and which will be launched in SA in the near future. 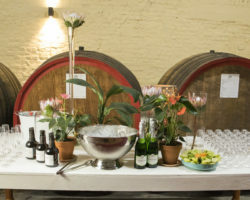 With its soaring barrel-vaulted roof, stained-glass windows, imposing rows of enormous hand-carved wooden vats and granite and wood inlaid floor, the Cathedral Cellar was the perfect venue to welcome KWV to the next century. KWV’s Cathedral Cellar, home to some of the largest wine vats in the world, has always been considered the ‘womb’ of this pioneering wine company. It was built in 1930, and South Africa’s wine history – some in memory and others carved on the larger-than-life stuk-vats – is guarded underneath Cathedral Cellar’s towering dome-shaped ceiling. 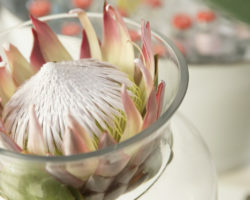 This year, in celebration of KWV’s 100th year, this incredibly beautiful space has been converted into a brand-new event and private dining venue, under the custodianship of KWV Ambassador Chef, Chef Mynhardt Joubert. 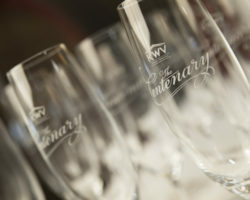 The evening also marked a highlight of KWV’s centennial celebrations, and forms part of the brand’s year-long commemorative journey of the South African wine industry, and its foundation role in it. The company’s fundamental role in the South African wine industry was aptly illustrated with the presence of SA ‘wine legends’. Those present were: Lourens Jonker, of Weltevrede Estate, and former chairman at KWV, Danie de Wet, of De Wetshof Estate and former Director at KWV, Johann Krige of Kanonkop, former Marketing Manager at KWV and Neil Ellis of Neil Ellis Wines, former winemaker and Director at KWV. These longstanding relationships are also reflected in KWV’s partnerships with South Africa’s wine farmers, and is especially pertinent in KWV’s premium products, like the Cathedral Cellar brand of wines – which perfectly balances the past with the present. “Having been partner to the wine industry for 100 years this has resulted in trusted relationships with grape producers, and an assurance that our no-compromise approach to quality carries through from vineyard to wine glass,” said Cathedral Cellar brand manager, Jolize van Wyk. 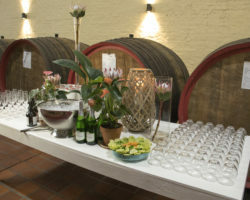 The Cathedral Cellar wines reflect the sentimental values often associated with wine, and consumers of Cathedral Cellar wines are further rewarded with a product that, through KWV’s sustained partnerships, has a particularly high degree of consistency. The Cathedral Cellar wine portfolio also showcases the innovation continually taking place within KWV’s cellars. 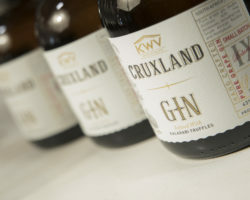 Referring to the Cathedral Cellar wines as an example, Wim Truter, Chief Winemaker at KWV said: “I have no doubt in my mind that with the innovation that drives winemaking at KWV, these three letters will remain a constant feature in the South African wine industry for another century – and centuries after that. In celebration of this, the illustrious evening was crowned with the first sabrage and serving of KWV’s special edition Centenary Méthode Cap Classique (MCC), The Centenary Blanc de Blancs 2011. 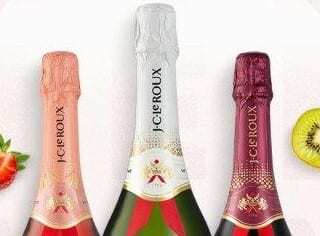 This finely crafted méthode champenoise spent 72 months on the lees in preparation of its disgorgement for this noteworthy celebration and will only be made available in limited quantities.